A photograph is neither taken nor seized by force. It offers itself up. It is the photo that takes you. One must not take photos. A neighbor handed me my first camera, an old Kodak Insta-something when I was eight, and I've been a photographer ever since. I prefer the unexpected over the traditional, the candid shot over the posed, the moment after the pose over the pose itself. I believe in the importance of a strong, positive client experience. I want my clients to feel special, happy, gorgeous, and well-cared-for throughout their photography adventure. A relaxed client makes an even more beautiful client on that most important of all days, and I will go above and beyond for my brides to ensure that is exactly what happens..
My assistant and second photographer, Jessica Harris, and I work hard to capture beautiful, memorable images on every wedding day we shoot, but we also work hard to make sure our clients, their wedding party, and their families feel comfortable, relaxed, and happy. We love to hear at the end of the day: "You guys were so much fun!" because that's exactly what our clients should remember at the end of their wedding day. We want our clients to have the time of their lives while we capture it. We believe in exceeding our clients' expectations, not merely meeting them. Don't wait, I only accept a limited number of weddings between March and November, and dates are booking fast..
All collections include travel within the entire state of maine. a nominal travel fee of $400 will be added for weddings in massachusetts and New Hampshire. I'd love to know more about you and your wedding day or your senior or lifestyle session plans! Fill out the contact form below, and lets get started! I service all of Maine as well as the Boston, Mass area. Click each gallery below to see a sampling of my work. Every wedding has its very own feel and every single wedding I've shot has been special and memorable in its own way. Engagement sessions help me get to know my couples before the big day, and I get to capture their love in a relaxed setting. Seniors, families, kids, and pets. Every session is unique and fun, full of sweet, candid moments. A few words from just a few of my awesome clients! Are you a past Bride, Groom, Wedding Party member, Parent of the Bride or Groom, or Vendor? I would LOVE to hear your feedback! Please click this link to share a few words about your experience, and help me find more awesome clients I LOVE! "Holy cow!!!!! Actually, what I really said was more like a four letter word, but I’m being ladylike! Dory, these are unbelieveble! Words can’t describe how we feel right now. Looking at these... we were laughing, we were crying... we were saying “oh my dear god”... all the emotions!!! You are amazing. Truly, truly unbelievable. Thank you once again! Seriously, these are incredible." "I have nothing but great things to say about Dory Diaz. From the moment I met her, it felt like I had known her forever; she felt like part of the family. She captured some amazing, precious moments at my daughter's wedding. She and Jess were so easy going and fit right in with our crazy clan. They were very patient with all of us, especially the kids. I love how Dory does black and white as well as color photos. The pictures of my daughter's wedding at the Union Bluff were amazing. I loved all the special moments that were captured on film. I would highly recommend Dory Diaz Photography for any event. Thanks again, Dory and Jess!" "We had the greatest experience with Dory. From day 1 she was accommodating, patient, and very personable through the whole process. As the bride and groom, we didn't realize how much time you spend with your photographer- and with that we'd choose Dory again and again. She made everyone feel super comfortable and has such a natural ability in making everyone feel good. Besides her amazing energy she is extremely talented. We are obsessed with our photos and couldn't imagine them coming out any better. She captured so many subtle moments that are truly the BeSt moments. We were shocked that such a grey, raining, foggy, May Day in Maine could be so perfect. Thank you Dory!!!!!!" "You are the absolute best wedding photographer ever!!! Anybody that doesn't hire you is wasting their money! Thanks again for making our day more special than we could have ever imagined." "To say Dory and her second shooter Jess did an amazing job is an understatement. I just received my key to my gallery, and all I can say is WOW. I’m totally in love with the style, and the shots they took were spot on. To the family portraits, to the fine detail shots, nothing escaped notice. She blended seamlessly into our wedding party and kept us genuinely smiling throughout our big day . Dory came recommended to me by another bride, and I’m so glad my husband and I chose her as our photographer!" "Dory was absolutely incredible to work with! From the first time we met her until after the wedding was over, we felt like our special day was just as important to her as it was to us. Most of the bridal party is fairly camera shy, but Dory and Jess made us feel very comfortable and made the day so fun and lighthearted. There was no room for stress with their positive energy and expertise there to guide us. And speaking of positive energy...Dory is just a ball of it! No one can be in a bad mood when Dory is around, and a lot of our guests have commented about how she's so much fun, energetic, and great at her job. After the wedding, we loved the sneak peaks she provided before getting our final package. All of the pictures that Dory and Jess took came out fantastically, and far exceeded any expectations we had about how good our wedding pictures could have been. We would recommend Dory in a heartbeat to anyone who is looking for a photographer!" "I just wanted to take a moment a really thank you. In the end, you not only made it extremely comfortable for me, but I know Eliza sometimes has trouble letting her full smile show in front of the camera and you managed to even capture that. To me personally that makes these photos even more special. A good photo can capture a moment better than anything else, but by making the experience special you managed to make the memory more than just what we see on the other end of the lens. Considering how tepid and nervous we both were (to varying degrees) before showing up, you managed to turn it around in to an evening of laughs and magic. That takes a special talent and it bears repeating, even though I imagine you're sick and tired of hearing it from us!" "I recommend Dory 100%. She shot my wedding in July and she was better than I could have hoped for. She wasn't just a great photog--she completely blended in personality-wise with ALL of my family and guests. People are STILL telling me how hard she and her second shooter were working and how much fun they were having with the guests and the wedding party. The images came out AMAZING and she was laughing and smiling the whole time (which can be hard at a stressful event like a wedding...especially when the weather gets crazy!!) She was so much fun to work with, was SO responsive during the planning process and replied to my texts right away! I cannot cannot cannot give her the praise she deserves. A+ in every aspect. Thank you, Dory!!!" "Dory did such an amazing job. The wedding photos are gorgeous! I've never seen someone work so hard. She and her assistant showed up on time and worked through the wedding and reception. They worked at least nine hours. They had great ideas and her shots were so artistically done. I will be recommending her to all of my friends. Beautifully done!" "We hired Dory to photograph our wedding at the Stageneck Inn on October 8th, 2017. It was the best decision we made! Dory was easy to work with from the start. She responded to all of my emails within a few days or would call right away if she felt we needed to discuss my questions in detail. She was very well organized (sent us a wedding day questionnaire a few months prior to fill out and also contacted all of our vendors). I also never felt like I was bothering Dory with all of my crazy wedding questions. "Dory and Jess showed up on our wedding day with energy, a smile on their faces and helped to calm my nerves. They went right to work and also helped our wedding party keep to our timeline. "Tom (Groom)- said that Jess made the getting ready photos relaxing and fun for the guys, which was hard because he was not thrilled about this idea! Jess found a way to make it interested for them and I heard they had some good laughs. "First look- Tom & I had the idea of walking out on a cliff to take our photos. It rained the entire morning and didn’t stop until about one hour prior to our first look. I looked over during our first look and saw Dory kneeling down in the mud at one point; this is dedication! "Sneak peek- within a few days of our wedding we were able to view a sneak peek of our wedding. This was a blast to see! We highly recommend Dory-Diaz Photography to any couple looking for a great photographer for their wedding day. Dory is very easy to work with, has competitive rates and great ideas for shots." "I chose Dory for my daughters’ wedding photographer in York, ME Oct 2017 . This was, by far, one of the greatest decisions made for our daughters’ special day! Dory and her assistant Jess were professional, welcoming, organized and beyond talented in their skills! I still get teary/eyed and emotional 5 months later, looking at our memories and re-living that day. Dory is truly gifted and found her calling within the field of photography!I I can’t express how grateful we are for her talent shared with us that day! She ventured down on the cliffs over the ocean to make sure she captured that ‘perfect’ shot for Angelina & Tom . Her creativity and attitude meant the world to me! She is a gem and we were lucky to find her! Thank You from the bottom of my heart." "Dory photographed my wedding at the Viewpoint Hotel in York Maine July 15th, 2017 and did an incredible job. From the very beginning she was super responsive, flexible, caring, sweet, funny and passionate about her work. She made it a point to get to know my husband and I and our style. Dory drove over 2 hours to photograph our engagement sessions as well as another two hours to do a site visit at our venue. Before the wedding day she contacted all of my other venders to introduce herself. The day of she was early with her second shooter, Jess, who was also a blast and awesome! For 9 hours they worked extremely hard getting the perfect lighting, blocking the sun and chasing family members down. My pictures came out beautiful. She captured our day perfectly. I cannot thank her enough!! "Amazing Dory! I loved the engagement pictures, so I knew you'd be great! I can't wait to see the finished work! I also want to point out that you and your co- photographer/ assistant ( forgive me, her name isn't coming to me) worked so hard! You both didn't stop for 10 plus hours. From make-up to the end of the wedding. I never saw you stop shooting ! You two were just the ultimate professionals! Your beautiful photography will allow us to relive this wonderful day for the rest of our lives, especially, the beauty you captured!" "Dory and her second shooter Jess took engagement photos for my fiancé and I and we had such a wonderful experience working with them! Dory was very helpful making suggestions to find the perfect locations for our photos and then scouting out the area before our shoot to make everything run smoothly! We immediately felt at ease with Dory and Jess and we had such a fun afternoon! 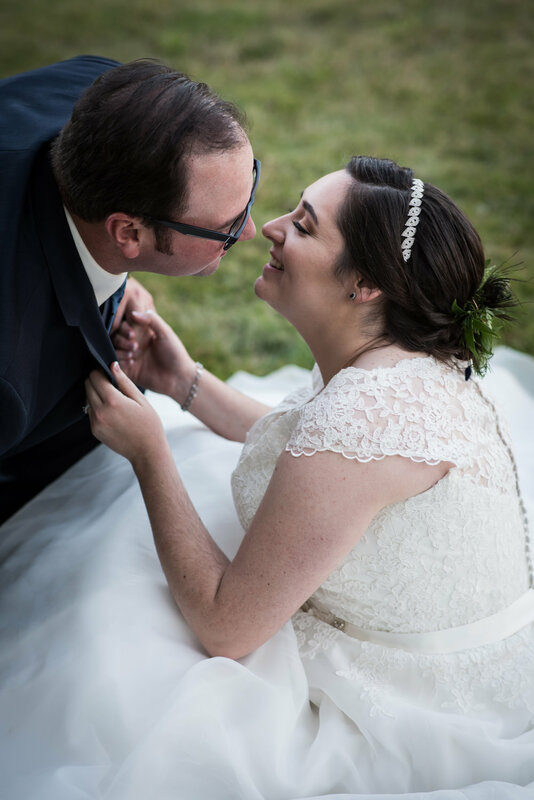 Dory was able to capture every moment perfectly and our final images turned out so beautiful; we are absolutely in love with every single photo! Dory will not be photographing our wedding, but ONLY because we are going to NYC to get married. If our wedding were here in Maine, then Dory would definitely be the one who we would want and trust to capture our special day!" "Dory and Jess were so wonderful! As someone that does not like their picture taken, being comfortable is key and that’s exactly what they did for me. They are a dream to work with And such good hearted people. Our pictures came out soooo GOOD! What a wonderful blessing to have those memories to look back on!" "Dory, and her co-shooter Jess, were fun and also professional, making sure that we got all the shots we needed and wanted! Neither my husband nor I enjoy being photographed, and they made us feel comfortable throughout the day. And the pictures came out great! We totally recommend them to anyone and everyone!" "If I could give more stars I would, met Dory as a groomsman in a wedding she had shot. Working with her throughout the process and seeing her end results were more than enough reasons to request her to work with my fiancé and myself. Her vision is excellent and her warm personality is beyond infectious, all this makes for an extremely comfortable experience as we found out when she did our engagement shoot." "Dory Diaz Photography has made an incredible impression on me as the mother of the groom. Dory and Jess were such a delight to work with. They worked the crowd of over 185 guests with grace. I am so impressed with how Dory and Jess were always there at the right time capturing just the right shot! They never commanded the space or intruded on a special moment in order to get "that shot", yet they always got it with a loving touch, and such compassion. The photos I have seen so far from Dory & Jess have brought tears to my eyes, joy to my heart and now I know I will have these precious photos to always remember one of my most valued days, times in my life. I just can't say enough about the wonderful experience it was to have Dory Diaz Photographers as part of our very special day. Thank you, a million thank you's!! I might add, looking through other wedding and special events that Dory has done are spectacular to say the least. So heartfelt are her photos, capturing so much in the moment. She and Jess really have an eye." "Dory was amazing and the pictures were incredible! From the start of the day she put us all at ease with her comfortable, fun, and professional manner. Even though the weather did not cooporate that day Dory still captured stunning shots and her use of lighting was epically beautiful. I couldn't have been happier! I cannot think of anyone else I would have at the photography helm, who has the exceptional artistic eye, and great personality other than Dory. Dory Diaz Photography is the whole package." "You will not find a better photographer than Dory Diaz. She goes above and beyond in every way. The fun we had taking pictures was a highlight of our wedding day. Her skill is exceptional, her professionalism is superb, her communication is prompt, and her enthusiasm is contagious. We love our photos. My husband and I highly recommend Dory Diaz photography." "I have been involved in two weddings and attended several more where Dory played a 5 starring role as photographer. Dory is professional, warm and has a strong intuitive sense of not only what individuals and parties want, but what they really need. Her communication and diplomacy (hey, all weddings need it) are top notch!" "Dory Diaz was the perfect addition to our wedding day! Not only did she take the most beautiful pictures we could have imagined, but she captured those special quick, genuine moments between my husband and I. Those moments that may only last a few seconds but where our true personalities shined through because we forgot anyone was watching. Dory makes you feel comfortable even if you've never met! She will put you at ease on your wedding day. You will not be disappointed in Dory!" "I interviewed a few people to take pictures of our wedding and as soon as I talked to Dory I knew I had to look no further. She was quick to respond to my messages. And she has a great personality and fun to work with! On the wedding day when our efficient didn’t show up she kept everyone positive and provided much needed emotional support at that moment. It all worked out at the end and we were married. We love our pictures! And we highly recommend her as a wedding photographer." "Dory did an absolutely outstanding job on our family pictures. She was so much fun to work with, and really made the experience memorable! She was patient with our kids to really capture the right shots and she did! She was prompt in all our correspondence and was flexible with our schedule. Beyond the the fact that her work is flawless, she is all about making the client happy and she will go above and beyond to do so! I recommend Dory Diaz Photography to anyone looking for beautiful pictures, at an affordable rate, that will last a lifetime! We will definitely be using her again!" Nikon D850: Incredible detail, 45.7 megapixels, and up to 9fps shooting. Let's just say I'm obsessed with the detail in every shot. Nikon D800E: My back-up camera which has very similar specs to the D810.